"... Many parts of the book can be read by anyone with a basic abstract algebra course... it was one of the author's intentions to equip students who are interested in computational problems with the necessary algebraic background in pure mathematics and to encourage them to do further research in commutative algebra and algebraic geometry. But researchers will also benefit from this exposition. They will find an up-to-date description of the related research ... 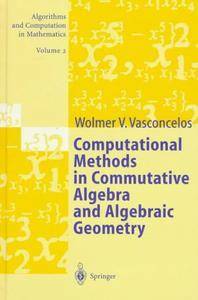 The reviewer recommends the book to anybody who is interested in commutative algebra and algebraic geometry and its computational aspects." "... a sophisticated notebook, with plenty of suggestions, examples and cross references ... 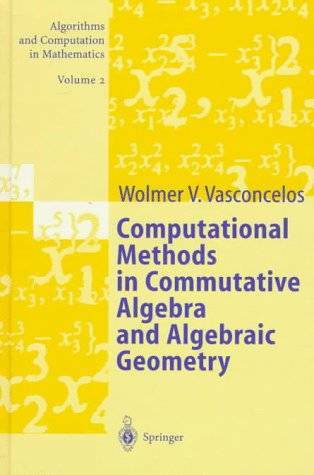 It is a welcome new and deep exploration into commutative algebra and its relations with algebraic geometry. It is full of results, from simple tricks to more elaborate constructions, all having in common a computational and constructive nature..."